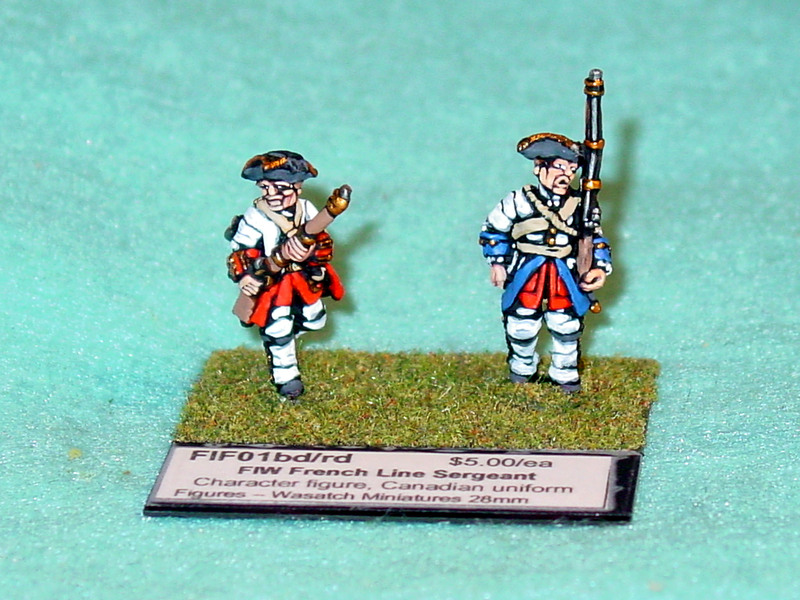 Wasatch Miniatures is a relatively new historical miniatures company. Our purpose is to provide high quality historical figures for gamers and collectors alike. All of our figures are sculpted based on extensive historical research, and cast in top quality pewter. 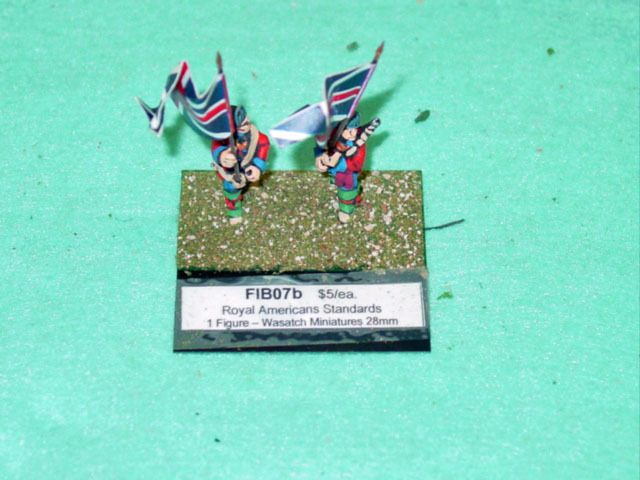 We have recently expanded our French and Indian Wars range, adding 28mm British line infantry, grenadiers and the unique Royal American Regiment. 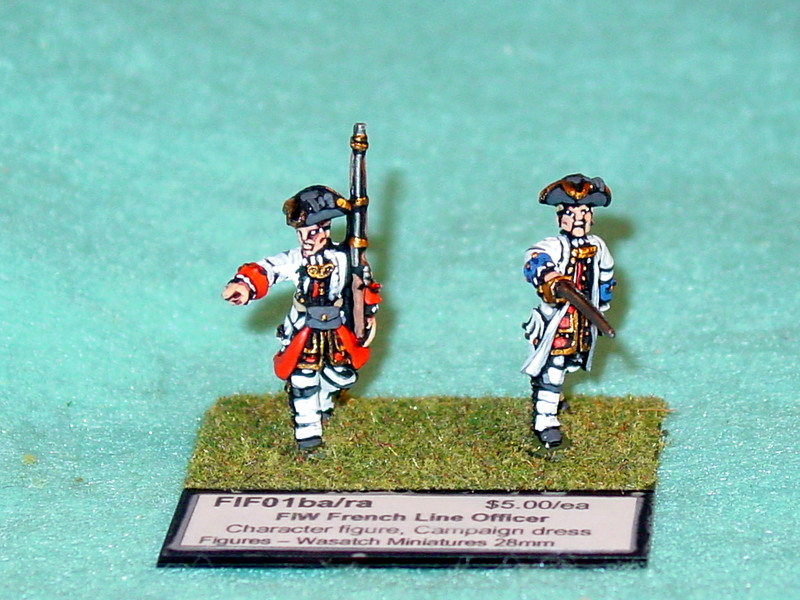 The FIW line is designed to allow gamers to field the forces in North America in their actual dress, including the Canadian-issued French Line uniform, the modified British uniforms adjusted for the colonies, and both summer and winter campaign dress. 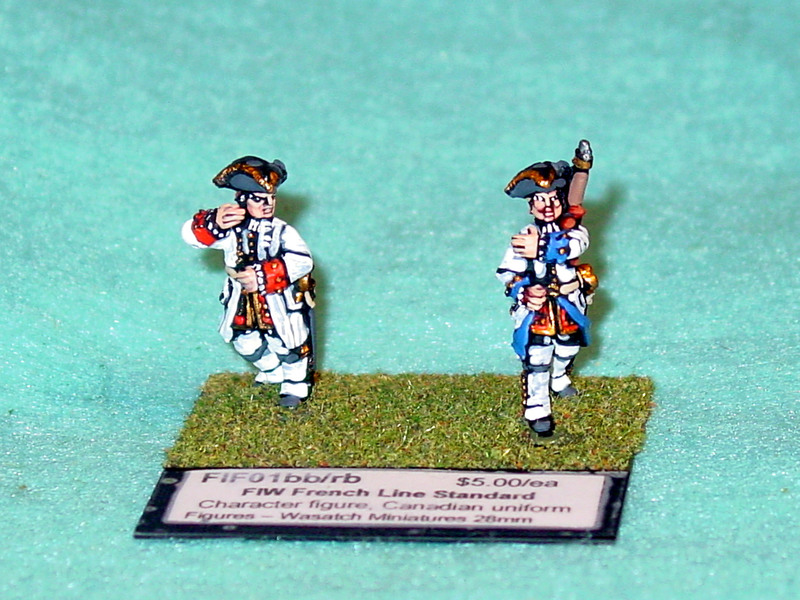 Our most recent addition is a comprehensive range of Napoleonic Dutch figures for the 1815 campaign, which we did for the 200th anniversary of the Hundred Days Campaign. 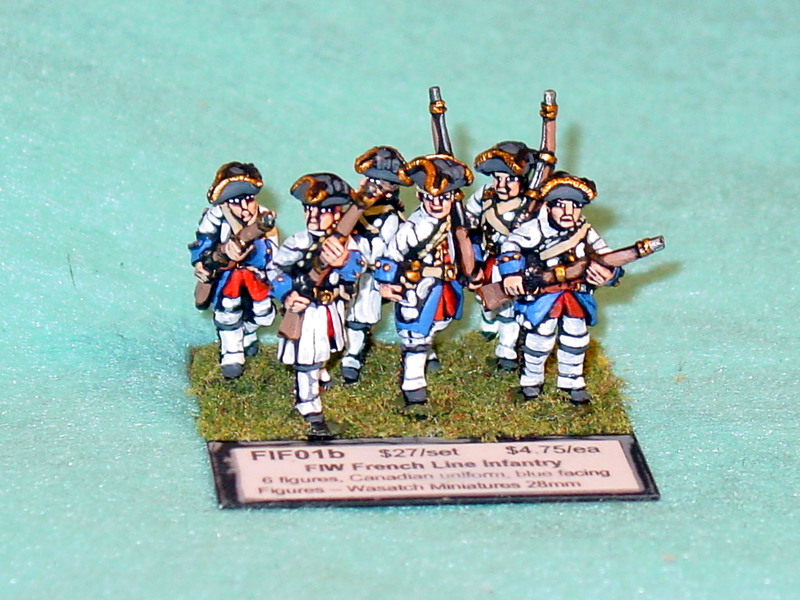 Wasatch Miniatures are distributed by GAJO Games. 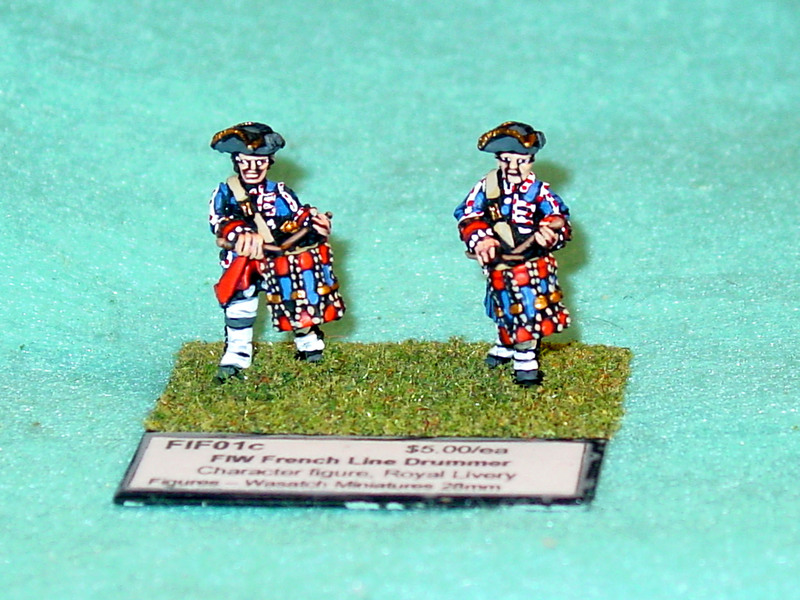 Note - Use WMFIW28 for Grenadier drummers.